As campuses compete to offer prospective students the best amenities, one is giving them something that they won’t find in many other schools. Liberty University, the Christian college founded by right wing activist Jerry Falwell, opened a multi-million dollar shooting range on Monday. 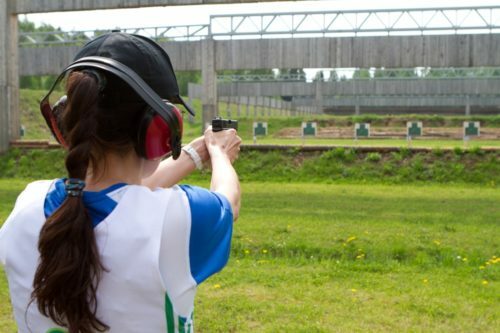 The 600-acre gun range is described as “state of the art,” making Liberty the only college in America with a shooting range that could be used in the Olympics. “Our president, Jerry Falwell Jr., and his father, Jerry Falwell, Sr. have a saying that ‘if it’s Christian it should be better’ – so we’re going to make it not only safe and competitive, but beautiful,” said Liberty’s planning coordinator Brad Butler. The students seem to like the shooting range. One noted that learning how to use weapons has taught him a lot about Christianity.